Art has always exerted an irresistible attraction to the people at the top of the political and social ladder; our rulers. Art offers the possibilities to justify and strengthen regimes, especially in the hearts of their own citizens. Propaganda art has been around for ages. World leaders have always been a popular source of inspiration for many artists. 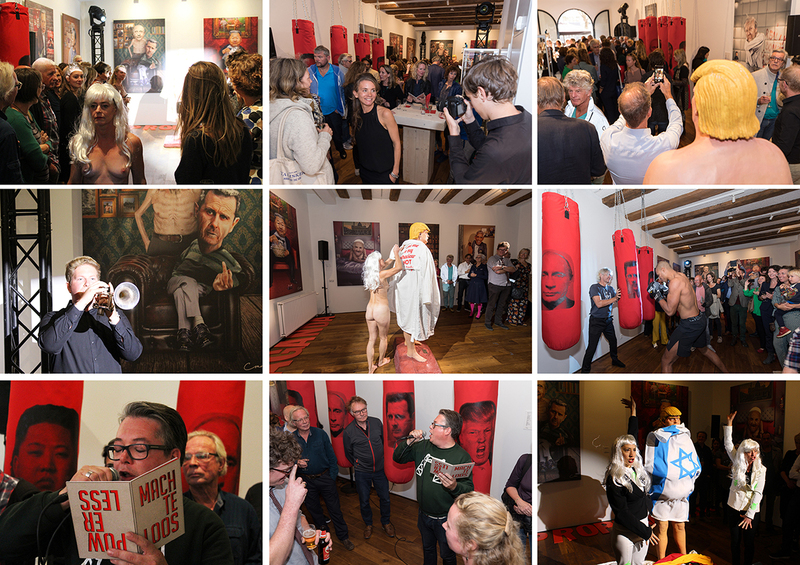 From satire, political cartoons to critical paintings and sharp performance art. This makes art an effective anti-propaganda tool, The counter-movement uses its art to criticize the people in power. Political satire is the ideal way to counteract messages that are dominant in the regular media or the political domain. Political satire has the power to break people’s thought patterns and influence our worldview. The exhibition It’s all about Power brings together different works of art that represent the vision of artists about this theme. Each piece is a reflection on the relationship between power and counter forces. Power and countervailing power are inextricably connected. The relation between Power and this Counter Force is an inexhaustible theme. Therefore, we will examine questions such as: Can art influence ‘the power’? Which role can art play in society?, and Can art offer countervailing power? How will current world leaders and important rulers such as Putin, Assad, Trump, the Pope and Zuckerberg look back on their lives in 20 years? Will they think about their actions? How will they reflect upon their choices, their (mis)use of power? Powerless is a series of portraits (by anonymous artist CSAR) accompanied by short fictional stories (by Jeroen Teitler) that investigates the thin line between having power and being powerless. 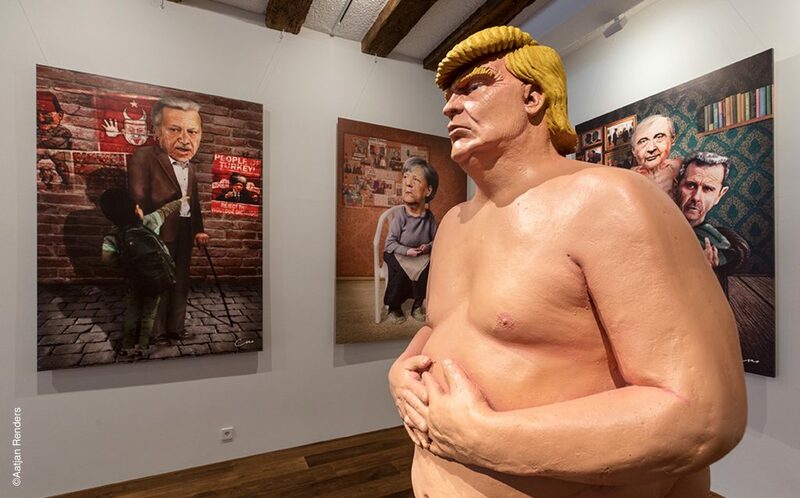 The artwork portrays today’s world leaders looking back on their lives, showing the viewer personal frustrations, traumas and despair. Who are these people if they are no longer in power? CSAR reflects upon the impermanence of power and investigate the effect of a world order where a handful of people rule us all. 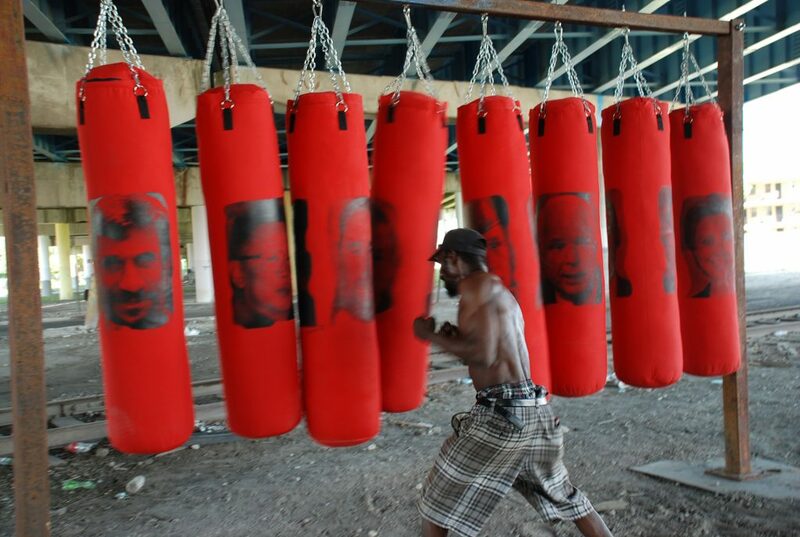 Cuban-American Artist Antuan Rodriguez’ “Left or Right” is a healing project. 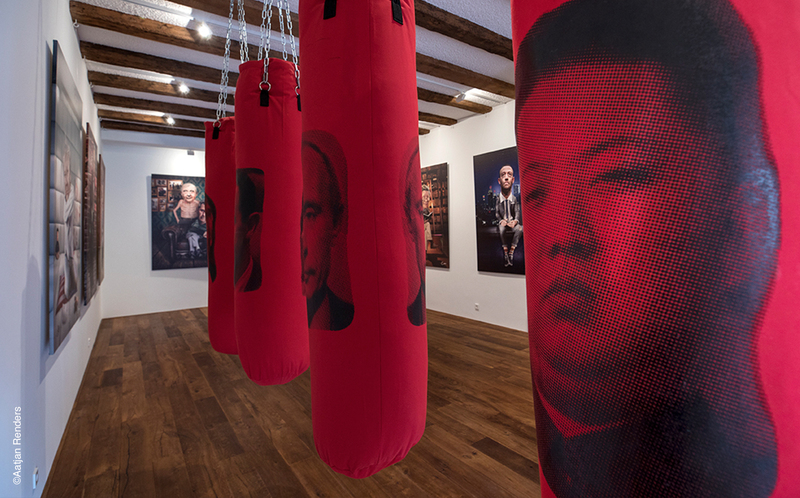 This interactive installation depicts different world leaders and tyrants, and allow the spectator, through the punching of the ags, to release anger, hatred, and resentment. This release of negative emotions transforms these objects into tools of detoxification and mental healing. Current global politics has created an environment of disrespect for humanity and our planet. Lack of harmony, senseless wars, violence, racism, ignorance, loss of values and principles, lack of consciousness, super egos and demagoguery, corruption, disrespect of women, false promises, and outright lies. Antuan says that growing up in Cuba gave him political “trauma.” He loves the freedom of democracy but doesn’t trust the government.